Disturbingly, at least seven New York City school employees have been arrested for sexual crimes so far this year, and two of them have a history of doing that sort of thing. The problem might be institutional: According to reports today, the cases of sixteen teachers accused of behaving badly with students illustrate how difficult it is for the Department of Education to fire teachers, especially when allegations don’t lead to criminal prosecution. In these cases, fourteen are still teaching, and the other two were fired for screwing up again. “As I was reviewing these cases, I said, ‘Huh? How could this person go back to the classroom?’” said New York City Schools chancellor Dennis Walcott. “It’s very frustrating. 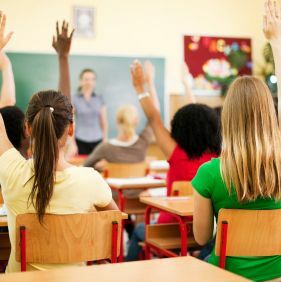 Definitely my hands are tied because the arbitrator made a ruling, because I would not have put these people back in the classroom.” But the arbitration process is one the unions count on to defend teachers wrongly accused. “A person has a right to be heard, and the right to respond to whatever you’re accused of, and it’s got to be decided by someone other than you, the boss,” said a former lawyer for New York State United Teachers. And yet the details just sound so ugly. One teacher in Queens was accused of instant messaging a student and expressing his urge to marry her, but an arbitrator said, “I doubt that he will make the same mistakes twice.” He continued to teach but was later fired for making seventh grade girls feel physically uncomfortable. What’s worse: At least one teacher cleared in arbitration said he’d never been asked about the case in subsequent job interviews.